Campaign to raise money to keep the Lindisfarne Hoard in the region. MyDonate page at https://mydonate.bt.com/charities/societyofantiquariesofnewcastleupontyne or see the website for other methods. Please spread the word and save the hoard! This entry was posted in E Newsletter and tagged Lindisfarne Hoard on June 11, 2014 by cbanorth. 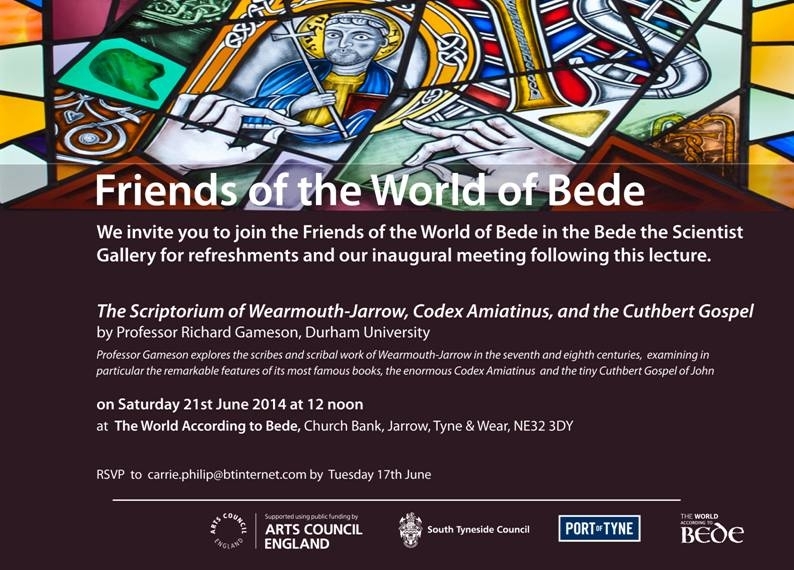 Following the lecture by Richard Gameson at Bede’s World on 21st June, there will be refreshments and an inaugural meeting for the Friends of the World of Bede. Please e-mail carrie.philip@btinternet.com by Tuesday 17th June. This entry was posted in E Newsletter and tagged Bedes World on June 11, 2014 by cbanorth. During this year’s excavation at Bamburgh there are lectures at 7:00 pm each Tuesday evening at the Bell View Centre, 33 West Street, Belford NE70 7QB. Free and open to the public. They may also arrange a summary of the season’s results during their final week. This entry was posted in E Newsletter and tagged Bamburgh Research Project on June 11, 2014 by cbanorth. Open evening at Northern Archaeological Associates excavations at Lucker in Northumberland. It is in the gardens of a late 18th century hall they have found evidence of the former medieval (or immediately post medieval) settlement and a medieval pottery kiln (although rather truncated). This entry was posted in E Newsletter and tagged Northumberland on June 10, 2014 by cbanorth.